You’ve been dreaming about the open road and the wind in your face for a while now, maybe even your entire life. You’ve finally decided carpe diem, and it’s time to buy a motorcycle. Let’s get ready to rumble! You’re about to enter a whole new world, my friend. Chances are, you’ve come here because you want to buy a motorcycle online and are curious about the process. While a purchase can be surprisingly easy (I’ll get to that in a minute), I think we should first cover the nitty-gritty considerations you should take into account to make sure you get the right bike for you. It’s safe to say that you really want a motorcycle if you have made it this far. Duh. But, one of the biggest mistakes made at this point is weighing want vs. need. Let’s not be hasty and make your first motorcycle purchase an impulse buy. There are not many worse feelings than buyer’s remorse and who wants their first ride to be a guilt trip? Motorcycles, as awesome as they are, aren’t really made for everyone. First, ask yourself why are you buying a motorcycle in the first place? Will you ride your motorcycle daily, or as leisure? Will you be riding a motorcycle to work? Will you use it for long-distance tours and cruises, or will this be a once-in-awhile recreation? Addressing these questions will help you weigh your want of a bike against the logical need and use. Ultimately, it comes down to whether or not you will be proud of your purchase, and ensure that you will ride it as much as you should. You should be happy with your choice, since you could be riding this chosen bike for many years to come. As much as you probably don’t want to bring this up, do it. Make sure that your SO, your parents, your kids, dog, cat, parakeet, or whoever will be okay with such a purchase and get their input. After all, this will affect them too. It’s the decent thing to do. Also, don’t worry. 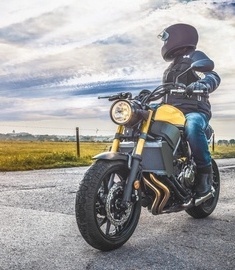 If you do your research and present well thought out reasons for buying a motorcycle, even some of the most bull-headed of spouses and parents can come around with a little time and (gentle) persuasion. No one likes homework, but sometimes it’s the best thing for you. It’s important to do your research and, not only know how to ride a motorcycle, but what special safety requirements, laws, and regulations apply to motorcycle riders. Here is a good collection of advice for new motorcycle riders (written by yours truly). Well, I can’t really answer this for you. But there is a foolproof way to figure out if you can afford to buy a motorcycle on your budget, it just requires a little number crunching and honesty. Write down your monthly income (post tax). Subtract 10-20% of your monthly expenses as a safety margin. What is left is how much you can afford each month. 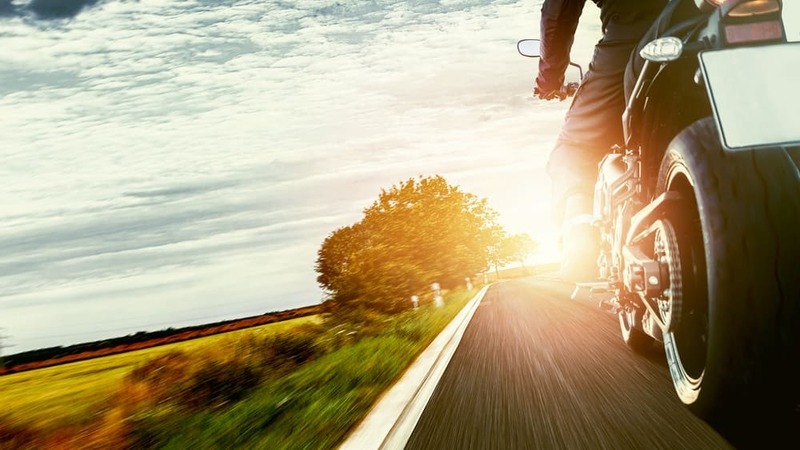 You may like the look of a particular type of motorcycle, but it’s important to look for a bike that will not only serve the purpose you want it to but will fit you. 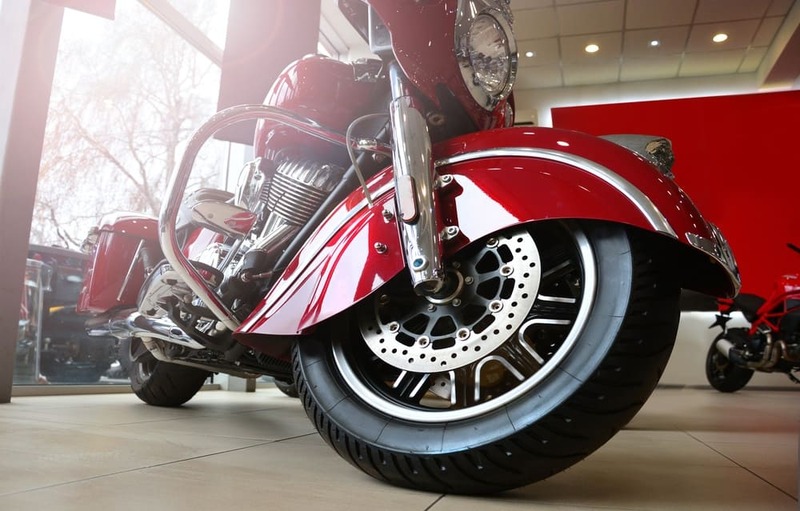 You likely already know that there are many different makes and models of motorcycles for virtually every taste and purpose out there, but for your enjoyment and safety, it’s key to choose the best fit for you. Generally speaking, if you want a motorcycle for long distance use, you should find one with adequate displacement (less than 750cc) and is equipped with some luggage and wind protection. For commuting, a standard or sports bike will make a good choice. As a rough guide, avoid any motorcycle more than 500 pounds or 70 horsepower if you are a beginning rider. New riders should especially be wary of buying a sports bike. A sports bike has a lot of power, light weight, sensitive controls and are not a good learning tool. They are not forgiving. Instead, try a standard until you've gained enough mileage and experience to feel confident and safe. Now, here is the easy part I was talking about earlier. 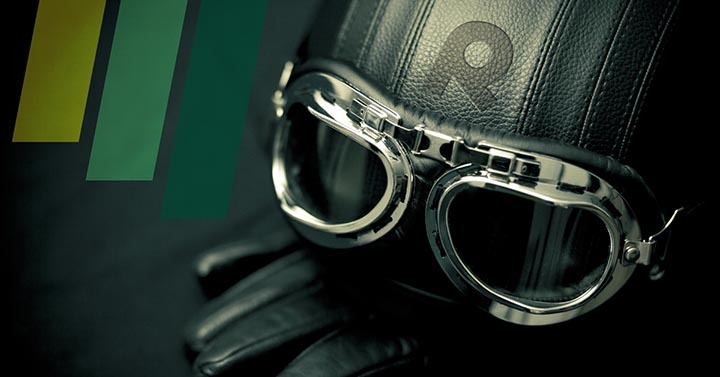 To find the motorcycle you need, for the best prices that you want, check out RumbleOn. 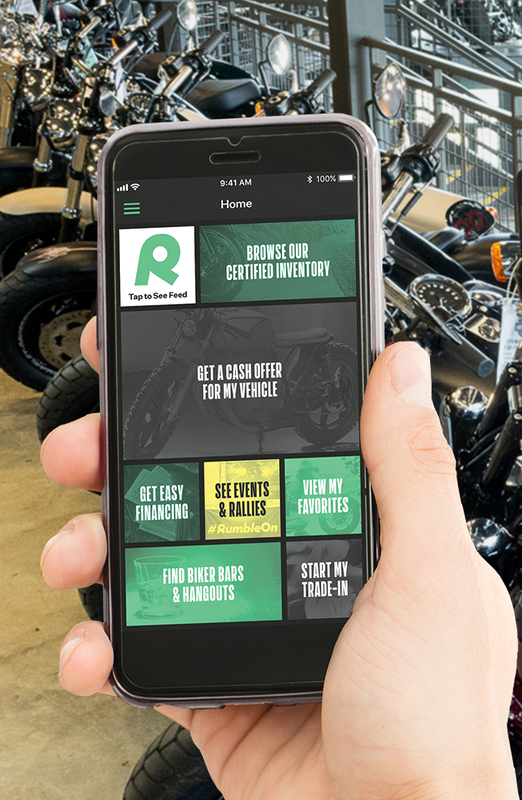 RumbleOn has one of the largest inventories of pre-owned motorcycles on the internet, and will even help you find great, low-rate financing for your purchase! Buyer’s remorse have a grip on you? Trying to find where to sell a motorcycle fast? 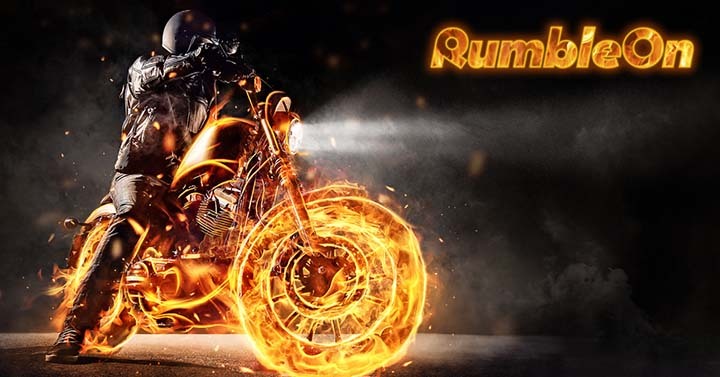 Check out my other blog for how to sell a motorcycle tips, and RumbleOn is a great resource to sell a motorcycle online. Rule the ride and rumble on!